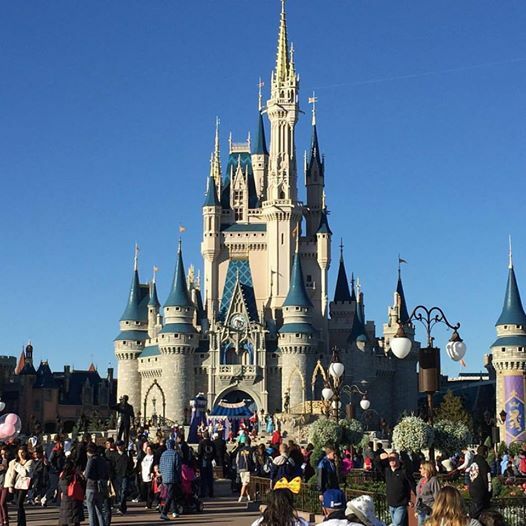 Do you love learning about the magic of movies and theme parks? So do I! Living in Tampa, I am surrounded by some of the world’s top destination white sand beaches and exciting theme parks just up the road. As a passholder to Disney World, Universal Studios, Busch Gardens, and SeaWorld, I frequent the parks nearly as often as I go the cinema. Having spent a great deal of time working in independent film, working for three years at Disney World, and now as a cinema and theme park critic, I have a great deal of passion for both storytelling mediums. And the amazing thing is that there is such a fantastic and symbiotic relationship between the two. Hence why I spent my Master’s program at the University of South Florida studying the place at which both converge. Specifically, I researched the elements of narrative, spectacle, pleasure, character, setting and more in terms of how they correspond with one another. Whether that is taking a movie and developing it into an attraction or taking an attraction (or entire section of a park) and developing it into a movie. Both are powerful means of conveying a story or message. I delve into what it takes for a movie to be a successful attraction or vice versa. Although there have been peer-reviewed articles and books written on cinema, there definitely lacked empirical research on the theme park side. Furthermore, most peer-reviewed articles and books are so incredibly boring and pretentious to read. My goal was to break down both and write about them in such a way that it is fun to read about. Movies and theme parks are FUN! So, reading about the relationship between the two should be equally fun and interesting. 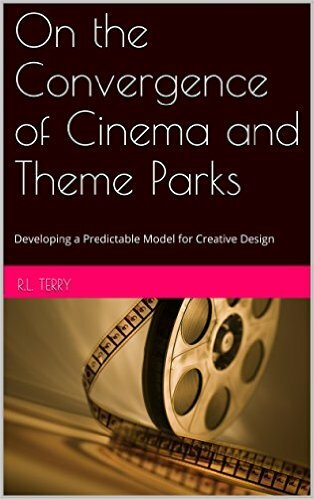 Starting with the history of how cinema influenced the modern theme park design and finishing with some of what to expect in the future, this book has it all! Although I would prefer that you buy my book (on Amazon), I have selected excerpts from it that I will publish over the next few weeks as I work on my next theme park piece. I hope you enjoy! In today’s world of entertainment, where some media conglomerates own both film studios and theme parks, successful films sometimes bridge these two media to create the basis for new theme park attractions. 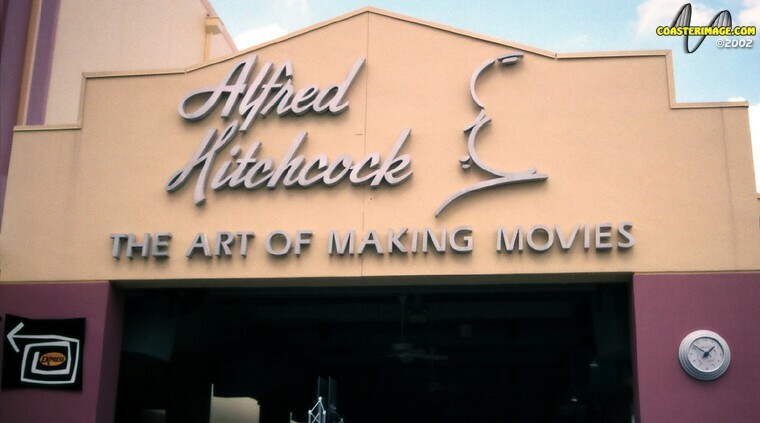 The following research study seeks to define the elements that a film needs in order to be successfully translated to a live themed entertainment experience, thus eliciting the desired emotional response from the guests; and also the necessary elements that a theme park attraction needs in order to convey both spectacle and narrative regarding the film upon which it is based. Although there are tools currently available to studio executives and creative staff at entertainment companies, this study will serve as a model using the ideas, theories, supporting evidences, and streamlining them into one study—a consolidation of tools, if you will. As media companies grow, and both cinema and theme parks adapt to changing needs and desires of movie patrons and park guests, the leadership at these companies needs to have the appropriate information at their fingertips to create effective and memorable stories for the screen and park. This study highlights what the potential park guests or movie patrons are looking for in terms of what drives them to spend money on themed entertainment or the cinema. Condensing this complex set of desires into a simplified answer: in terms of cinema-based attractions, the audience is searching for attractions and rides that immerse themselves into a participatory environment in which they make a difference in the story and encounter the unique characters, settings, and plots from the movie.—they want to be viscerally engaged and transported into a world of fantasy or adventure. Ever since the late 19th and early 20th centuries, audiences from around the world have been drawn to the temple of the height of the visual and performing arts, the cinema. In many ways, the early days regarded the cinema as an attraction, an amusement. In fact, many of the first silent films were shown in carnivals. Nickelodeons dotted the landscape in drug stores and clubs. Elaborate and ornate movie palaces housed some of the first big screens, and orchestras played along with the narrative (Gunning, 1986). Over the last century, cinema has gone from existing in sideshows to being a dominant mass communication source that has evolved into the very rollercoaster to which many critics and lay people compare it; and, not only metaphorically. From starting in carnivals to now being the inspiration for the most visited theme parks in the world, cinema has gone full circle and is now instrumental in an unparalleled synergy with themed entertainment. Over the decades, there has been a strong convergence between cinema and theme parks. Studio executives, filmmakers, and theme park designers are working together in ways that serve to support both the movies and the parks that have rides based on the movies. More than ever, filmmakers and attraction designers need to know what the cinema patron and park guest both want in order to create a synergistic and dynamic entertainment experience based on a single narrative. Two of the greatest forces in media and entertainment are the cinema and theme parks; and for the latter part of the 20th Century and continuing strong into the 21st, the convergence between the cinema and theme park is becoming clear. Additionally, within the last several years, theme park attractions have inspired movies (e.g. Disney’s Pirates of the Caribbean and The Haunted Mansion). 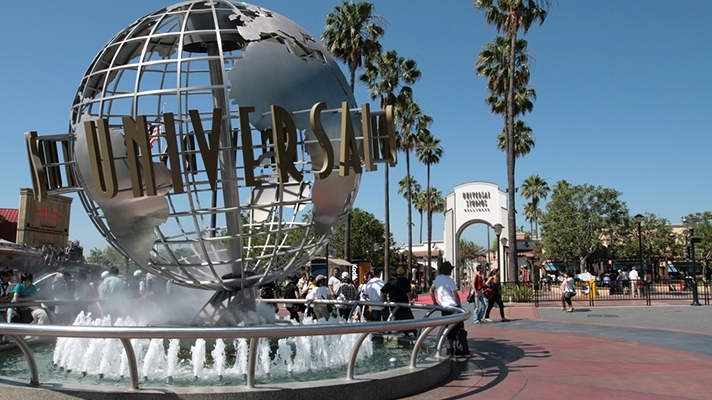 The relationship between the movies and theme parks is a strong one, but why is that so? Can one exist without the other? Or, is it a co-dependent relationship that benefits both entities? Perhaps it is all of the above. But, not every successful movie makes an equally successful theme park attraction. Often times, it is the Horror and Action genres that are used as the inspiration for successful attractions (e.g. ET-The Extra-Terrestrial, Jurassic Park, The Bates House and Motel, and Hitchcock: The Art of Making Movies). As technology advances, the cinema and theme parks have adapted and evolved over the years to include the technology to both impress audiences and save money. Still building off the success of the cinema, theme parks have evolved their rides and attractions to go from the magic behind the movies to immersing the audience or guests into the movie itself. Likewise, studios and production companies are producing movies that act as attractions themselves. But, central to this study are the questions: why is it essential for the cinema to continue this synergy with the theme park industry, and what does it take for a movie to be a successful theme park attraction?